The 2011 off the Pacific coast of Tohoku earthquake affected Japan, wreaking severe damage to the Nuclear Power Station in Fukushima. Heavy Bentonite-Based Slurry has been examined the use as filling-type water sealing materials in damaged nuclear reactors. This research was conducted to investigate and define the water stopping capabilities of Heavy Bentonite-Based Slurry for controlling the nuclear accidents. In this study, the falling head permeability tests were conducted to quantify it. 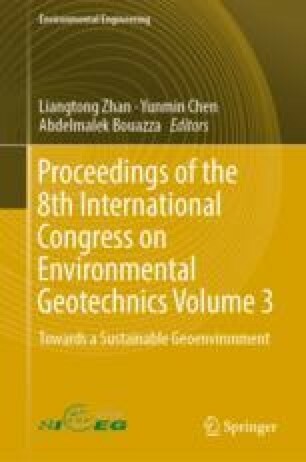 The results show that the hydraulic conductivity decreased from k = 10−8 m/s to k = 10−10 m/s with sedimentation of specimens. This research was conducted with support from ‘Human Resource Development and Research Program for Decommissioning of Fukushima Daiichi Nuclear Power Station’ by the Japan Ministry of Education, Culture, Sports, Science and Technology.